Whether you’re a beginner or experienced martial artist, United Studios of Self Defense has a program to fit every need. Men, women and children of all ages and professions participate in our Private & Group Training Programs. The United Studios of Self Defense System is an ever-changing wealth of knowledge that is always interesting and fun to learn. At United Studios, you’re not just another student. You will realize your full potential, because you are special to us. Since 1968, USSD has been the pioneer in perfecting the teaching of martial arts for self defense on an instructor/student basis. The USSD Private Training program allows students to progress at their own pace and to focus on their needs and interests. 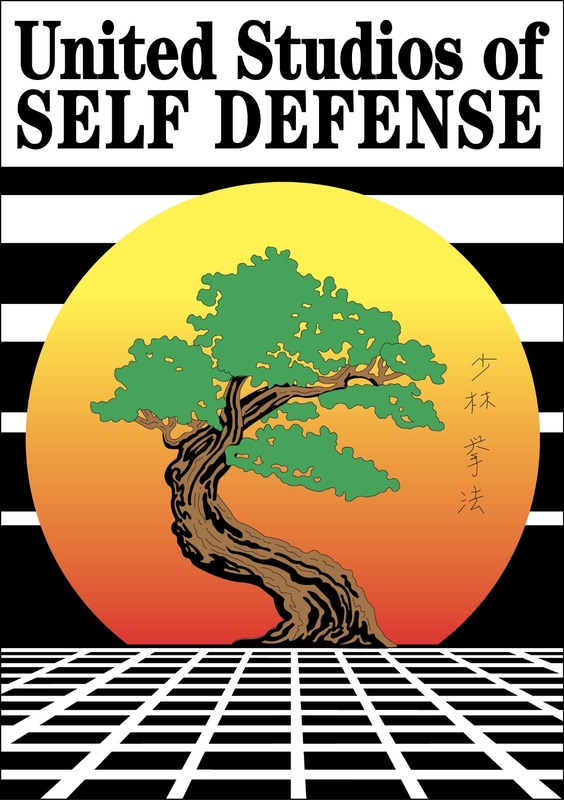 USSD’s unique self-defense system allows the beginner and advanced student alike to adjust the techniques to fit their physical ability, strengths and limitations. Private training allows students to receive direct critique and motivation from the Instructor, expediting their advancement and understanding of techniques and principles. The Private training program also provides a flexible training schedule, fitting the lessons to the students availability. Advance yourself up to 4 times faster than with group lessons alone. Private instruction allows you to advance at your own pace. All of the attention is on you, so any corrections are immediate. Gives you the time you need to process what you have learned. Students with private lessons are more likely to achieve black belt. Flexible scheduling lets you fit the lessons to your availability. You will be more motivated as you see how quickly you progress. Our students develop a range of skills that enable them to succeed in all areas of life. This is particularly important for children, who need the guidance and support of parents and others to develop the skills they need to become capable and balanced adults. We will help your child become a strong and productive member of society armed with character, strong self-discipline and a healthy self-image. At United Studios of Self Defense, we work hard to make your child’s experience with the Martial Arts a safe and productive one. All of this is achieved in an environment where the camaraderie created by shared challenges creates a sense of trust and recognition of individual achievement. Students advance at their own pace, without the pressure that is often such a part of team sports. The practice of Martial Arts, when done properly and under the guidance of a professional USSD Instructor, is safer than most school sports. It is a workout routine that improves focus and self-discipline, developing the mind as well as the body. Students learn to control themselves and to respect others, which naturally leads to a respect for self. This benefit often carries over into school, helping to not only improve behavior, but academic performance. Students learn how to use their energy in a positive manner and not to be aggressive towards others. Experts agree that, rather than promoting violence, Martial Arts open the door to building a solid foundation of self-confidence and a healthy sense of self-worth. The core philosophy of USSD Martial Arts training is non-violence. Our training enables students to respond in a calm and controlled way that will stop, rather than escalate violence, should violence be unavoidable. For the teen or adult student, the martial arts provides a balanced improvement of both mind and body. The USSD Teen & Adult Program is designed to provide you with the principles of self-defense while strengthening your stamina & physical ability. In addition, the techniques and training fundamentals you learn will be adjusted to fit your needs and interests, whether your goals are to learn to defend yourself, get in shape, become more flexible, reduce stress or otherwise. In order to incentivize and motivate our students to progress, USSD uses the time honored Japanese Karate belt ranking system. In the Shaolin Temple, there were only 3 levels of achievement… beginner, disciple and master. It normally took 12-15 years to attain the level of disciple. The USSD belt system was implemented to motivate with milestones for accomplishment during your studies.One of the most exciting experiences of your Martial Arts training is rank testing for your next colored belt. This is an earned opportunity that is scheduled and based on your continuous growth and development in the Martial Arts. Although colored belt ranks may appear to be the same within the various disciplines and styles of Martial Arts, United Studios of Self Defense has structured a system of required material outline for each belt rank. This structure will ensure you are continuously expanding your skills and gaining the necessary physical and mental principles towards your next belt rank. Earning a Black Belt is a rewarding accomplishment that takes effort and dedication. Every USSD Instructor was first an accomplished USSD student. Our Instructors are trained from white belt within the USSD self-defense system to ensure a broad understanding of our training principles and applications. All USSD Instructors participate in weekly training sessions with a Master Instructor to ensure that they provide the highest level of teaching and martial arts application within their own school. 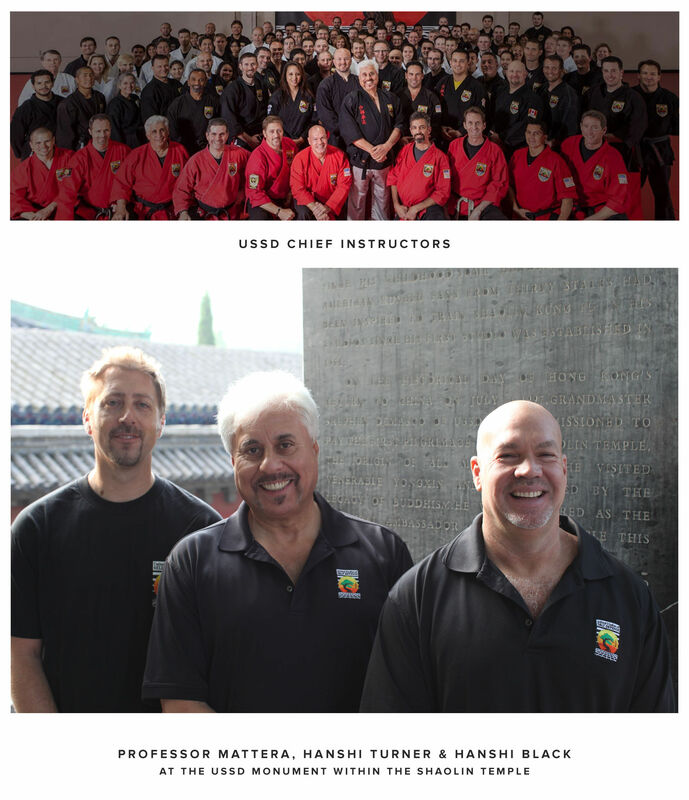 In addition, USSD Chief Instructors and Masters from across the country gather at the United Studios National HQ in Southern California each month to train and develop new skills and methods of teaching.